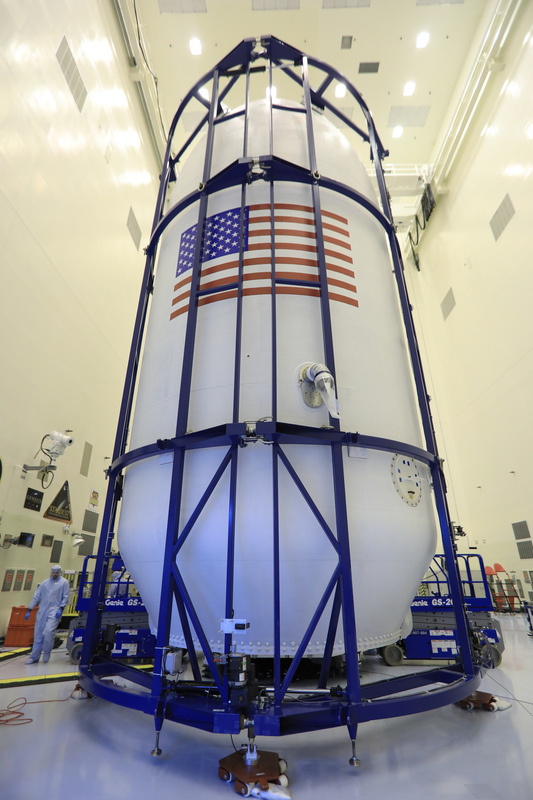 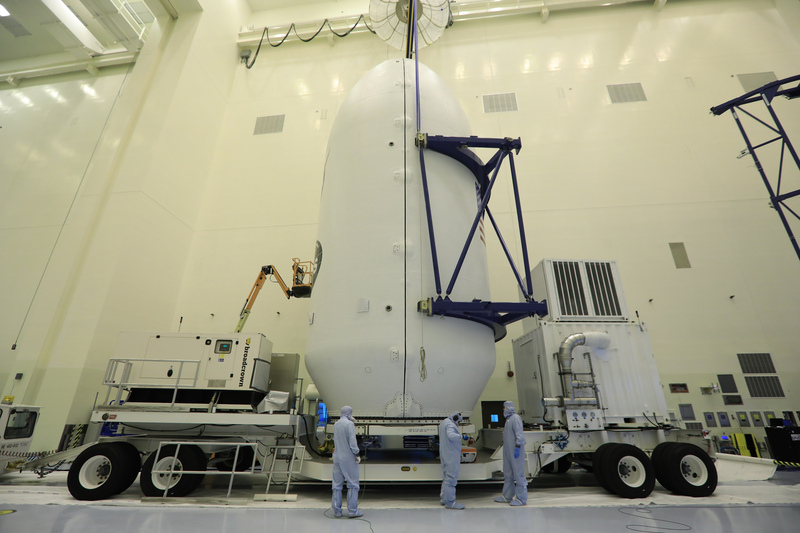 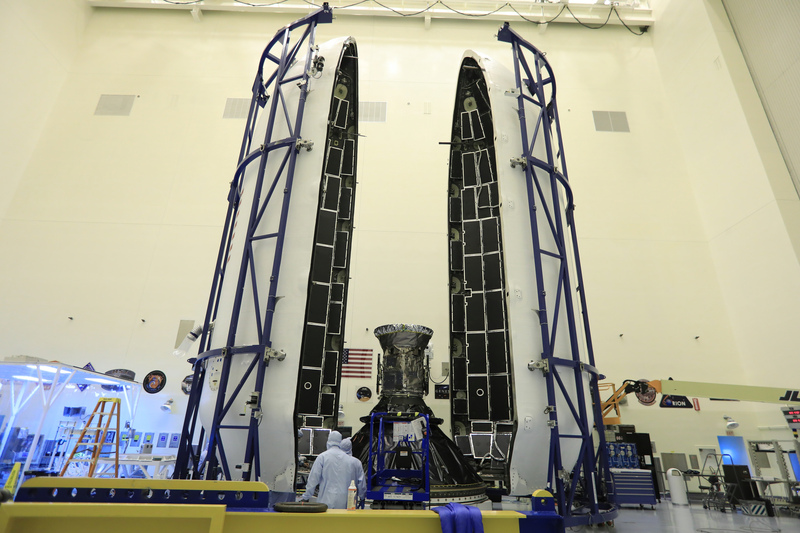 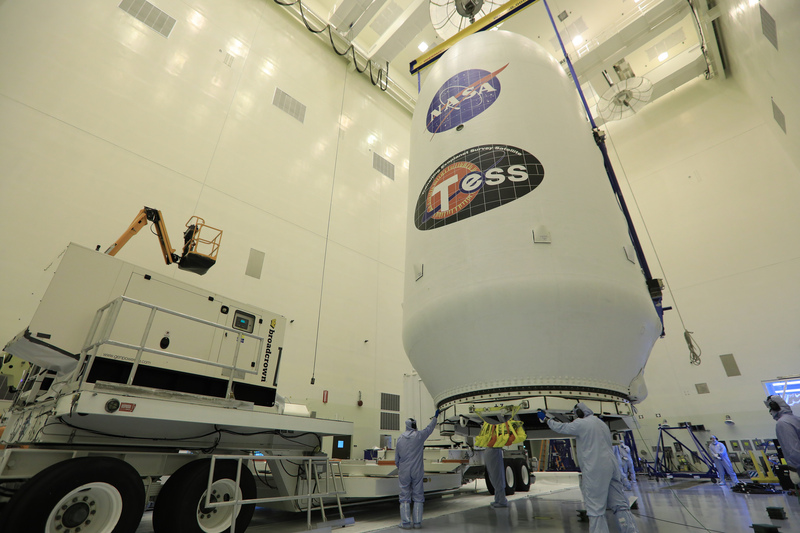 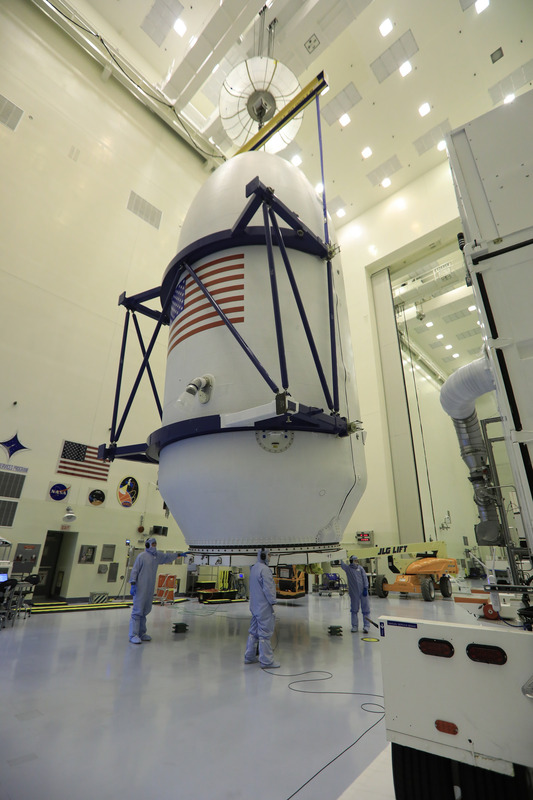 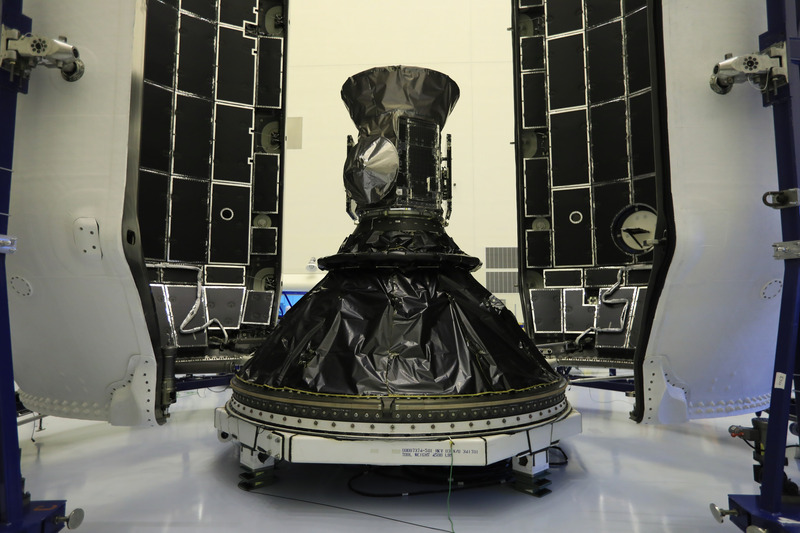 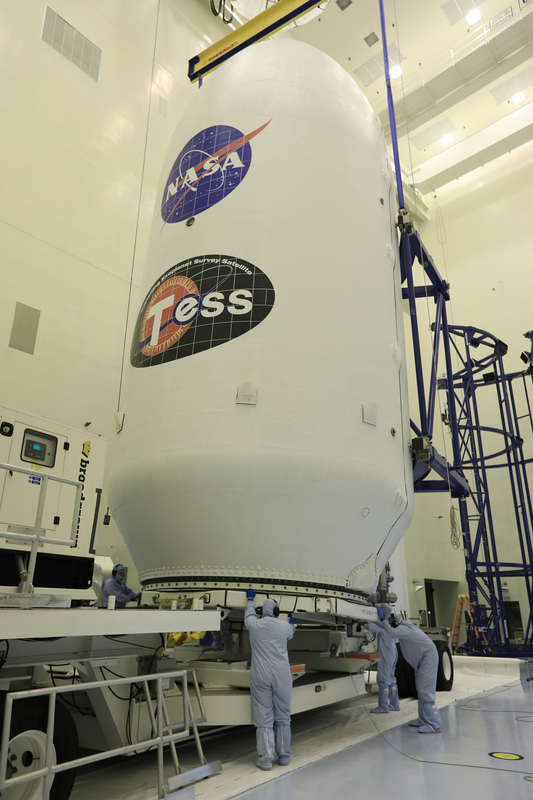 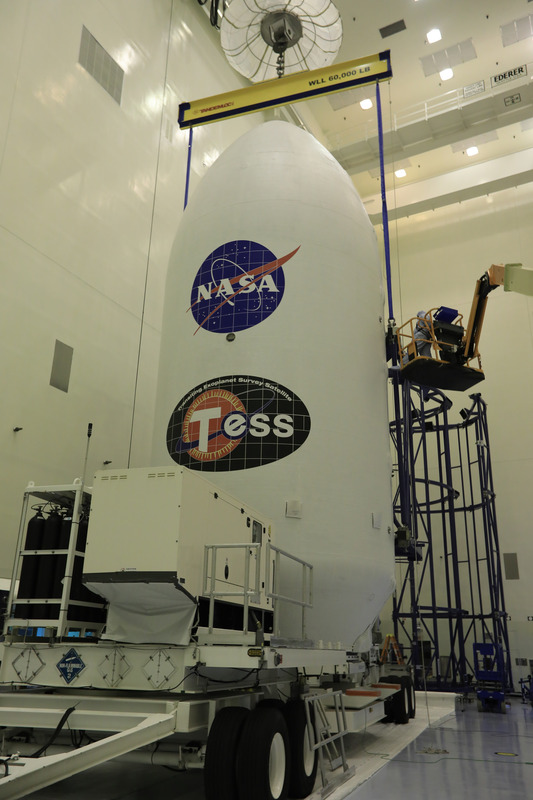 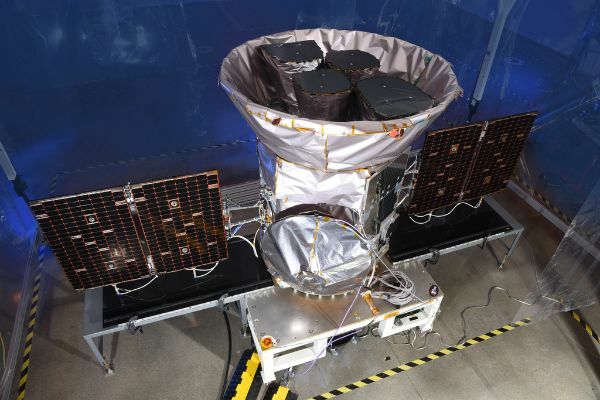 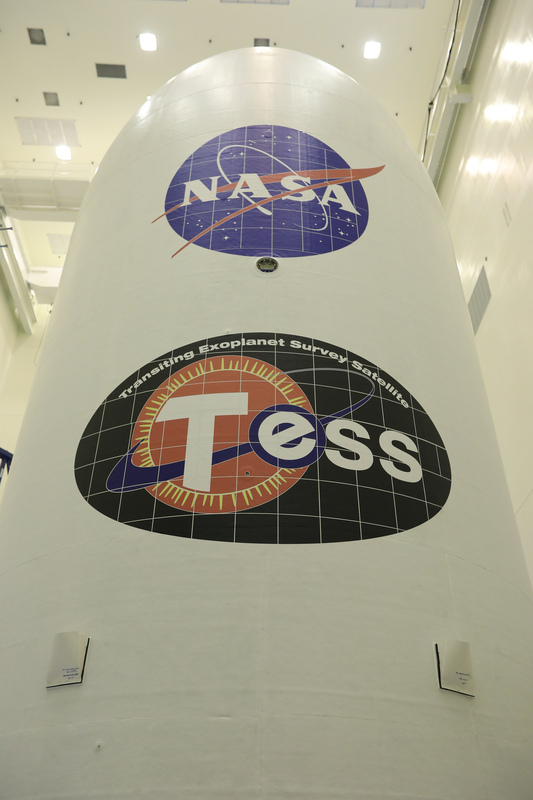 The Orbital ATK-built TESS spacecraft looks somewhat lonely inside the large SpaceX payload fairing it will ride up in on Monday when setting out to begin its mission of cataloging exoplanets in Earth’s cosmic neighborhood. 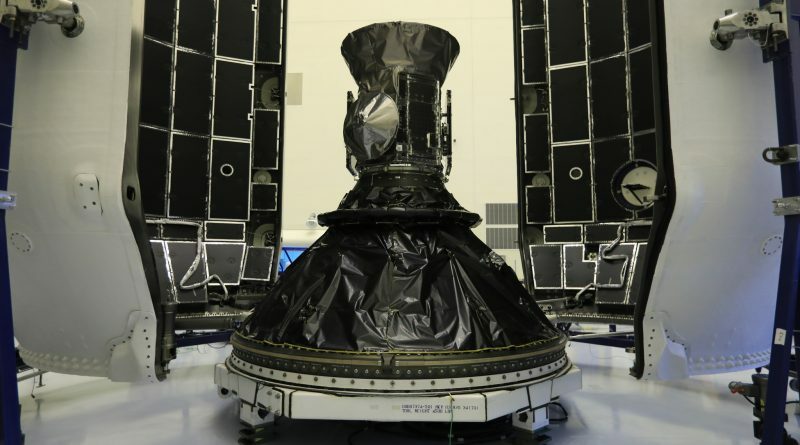 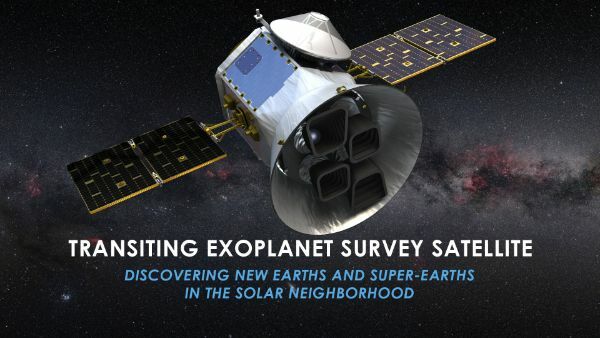 Standing just 1.5 meters tall, the 362-Kilogram Transiting Exoplanet Survey Satellite has plenty of room to spare within the 5.4-meter diameter, 13-meter long payload fairing that will protect the spacecraft while sitting on the launch pad and shield it from aerodynamic forces on the way through the dense atmosphere. 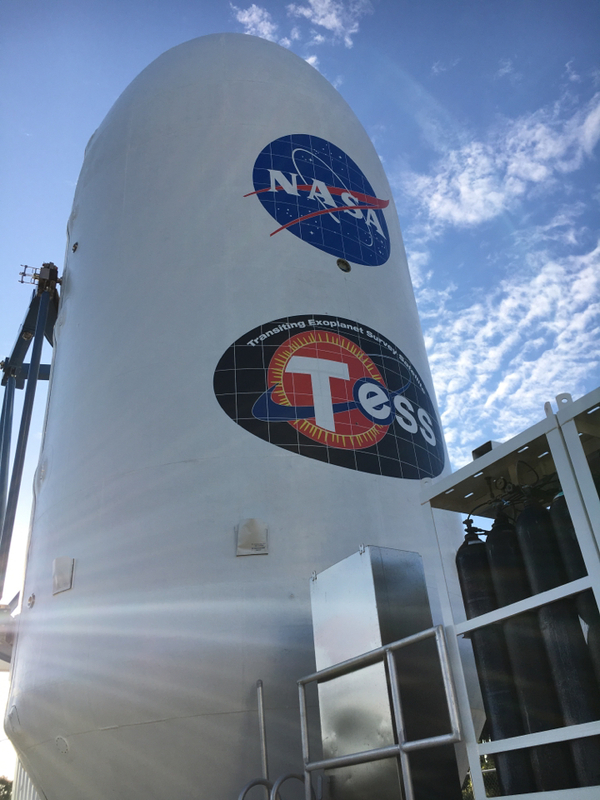 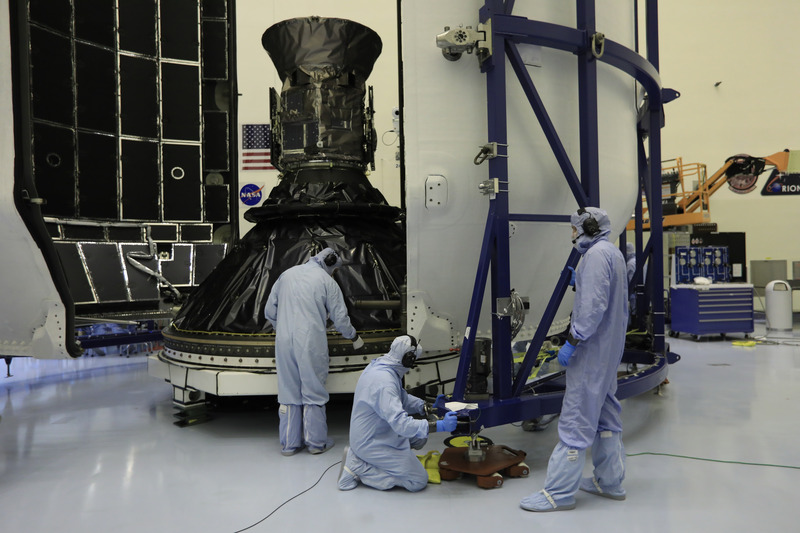 After encapsulation on April 9/10, TESS was transported to Space Launch Complex 40 at Cape Canaveral Air Force Station to be installed atop its Falcon 9 rocket.